​If you go down in the woods today, you’ll…..see 14 volunteers of the Lincoln Conservation Group coppicing, scalloping and lime-layering! Volunteers were there to help Sophie Hawkridge, Lincolnshire Wildlife Trust Warden, with some essential maintenance tasks at this ancient Lincolnshire woodland site. 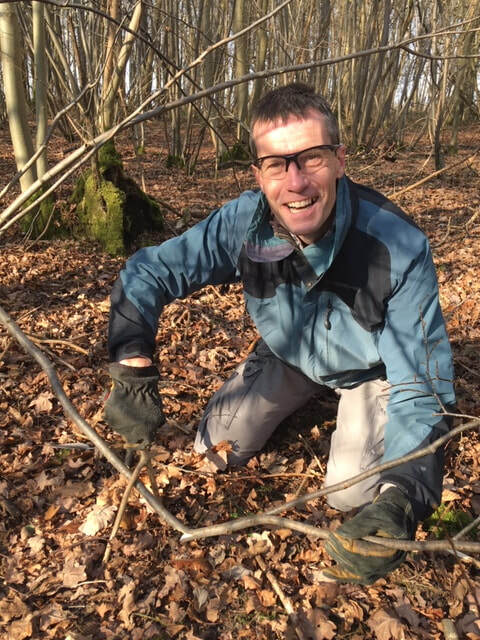 The team conducted their usual coppicing work, but with a twist – shaping the main ride of the woodland into a wiggly, scalloped shape, to create a suitable warm and open habitat for insects and butterflies. ​We also had the chance to learn a new skill; lime-layering. 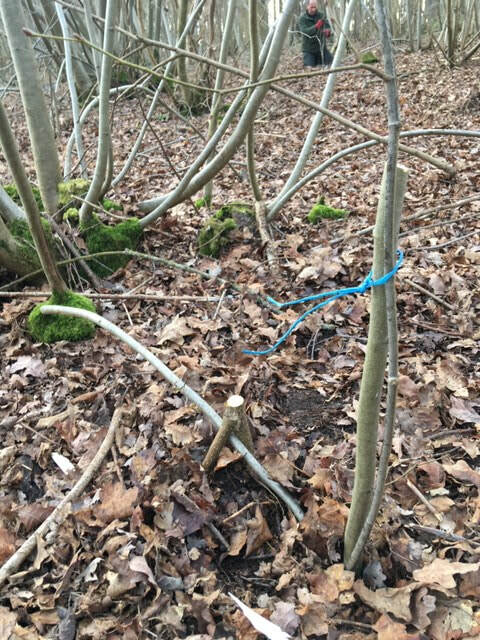 Sophie showed us how to manipulate new shoots of coppiced tree down to the ground, in order to encourage the shoot to regrow further out from the stump. The lime shoots were gently bent using billhooks (Dave was very skilful at this) and tethered in place with stakes, earth and twine. We had a bonfire (probably one of our last of the season) to burn the brash and to bake Jonathan’s jacket potato for lunch! Suddenly, our sandwiches didn’t seem so special, but the company, heart-warming exercise and the great outdoors made up for it.